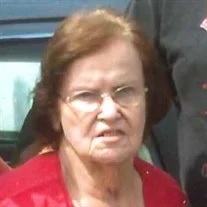 Virginia Ann Skiles, 77, of Rossville, passed away Friday, March 22, 2019. She was preceded in death by husband, Bill Skiles; daughter, Jennifer Raines; son, Gary Skiles; and her parents. Survivors include her children, Mike (Becky) Skiles and Billy J. Skiles; son-in-law, Jerome Raines; sisters, Joyce Ward and Gertrude Yarbrough; several grandchildren, great-grandchildren, nieces and nephews; and beloved dog, JoJo. Funeral services will be held at 3 p.m. Sunday, March 24 in the Fort Oglethorpe Chapel, with Bro. Keith James officiating. The family will receive friends from 3-8 p.m. on Saturday and prior to the service on Sunday at the funeral home. Arrangements by Wilson Funeral Home-Ft. Oglethorpe.